Swimming Pool – Leaf net Shallow skimmer head for Pole. 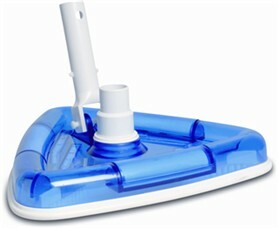 Swimming Pool Net Skimmer, fits onto standard pole. 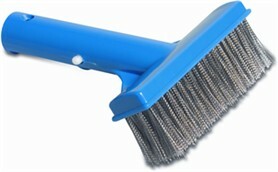 great for skimming of unwanted debris. Swimming Pool – Leaf skimmer Long wear net head for Pole. 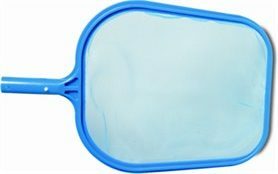 Swimming Pool – Leaf Skimmer with long wear net. fits onto standard pole. 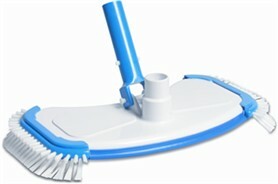 great for skimming of unwanted debris. 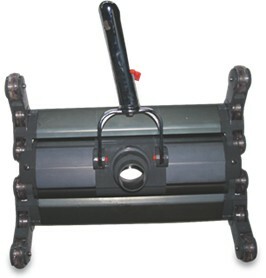 Swimming Pool – 45cm Brush Head for Pole Handle, pin and wishbone Attaches to most telescopic poles Suitable for liner or concrete pools great for unwanted debris. 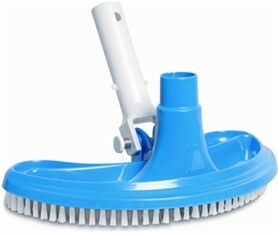 Swimming Pool – 45cm Brush with Aluminium backing Fits Standard Pole. Swimming Pool – Algae Brush Stainless Steel 5″ Fits Standard Pole. Suitable for concrete pools, Ideal for the removal of unwanted algae. Swimming Pool – Deluxe Leaf net Deep head for Pole. 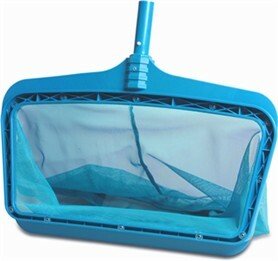 Swimming Pool – Deluxe Net Skimmer, fits onto standard pole. great for skimming of unwanted debris. Swimming Pool – Leaf Skimmer with Pole Basic pole and Net. 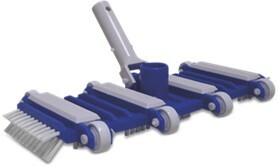 Swimming Pool – Replacement Grip and Pin for Cleaning Heads Fits Standard Pole. 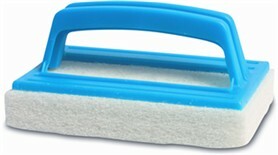 Swimming Pool – Hand Held Scrub Pad. For getting up close. Swimming Pool – Telescopic Poles 2 piece and 3 piece. 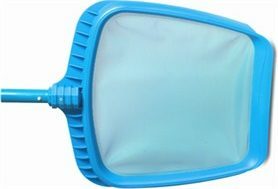 Swimming Pool -Triangular Blue Clear Vacuum Head 1.5″ vacuum hose swivel nozzle Handle, pin and wishbone Attaches to most telescopic poles Suitable for liner or concrete pools Weighted Fits 1.25″ – 1.5″ hose Replaceable brushes great for skimming of unwanted debris.